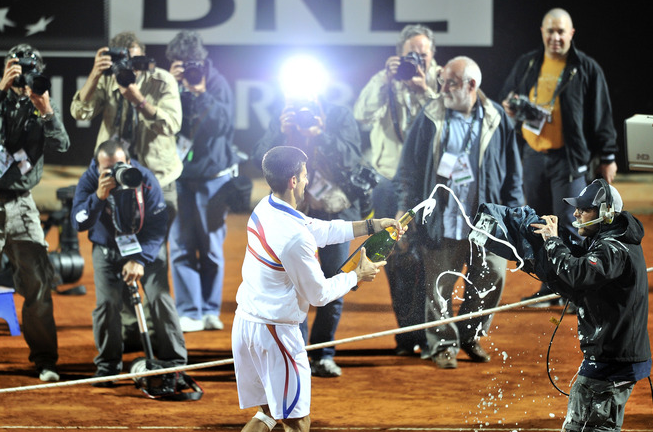 Champagne and kids: Above, Nole could let out his truly-silly side with the camera man and some champagne while celebrating. Below, Maria goes with the you-can-touch-but-not-take policy. 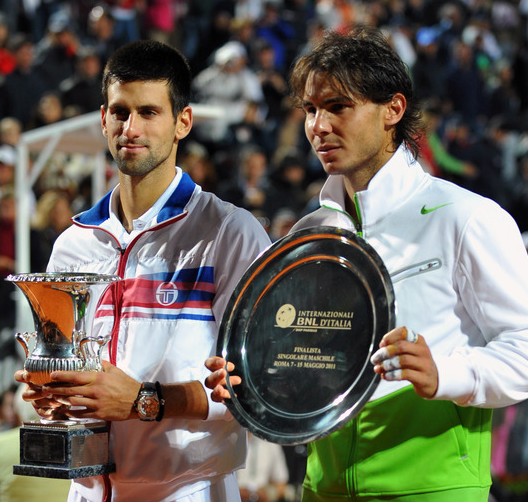 This entry was posted on May 16, 2011 at 9:20 am and is filed under maria sharapova, novak djokovic, rafael nadal, tennis, trophy watch. You can follow any responses to this entry through the RSS 2.0 feed. You can leave a response, or trackback from your own site.